The highlight of this tour is a 90 minute cruise on Dolly Steamboat. Take a ride around Canyon Lake keeping your eyes to the shoreline for wildlife including coyotes and big horn sheep. Plus, you may catch a bald eagle soaring high above. Dolly Steamboat will take you close to the 500 foot walls that create dramatic sheer cliffs that surround Canyon Lake. For your comfort in the summer months, the steamboat is air conditioned. You can learn more about Dolly Steamboat at their official website. The Apache Trail is an historic stagecoach line that ran through the mining communities of the area. The trail winds through beautifully eroded canyons, along lake shores, through the Sonora Desert, and by old mining towns. The Apache Trail is the only recognized Historic and Scenic Highway in the State of Arizona. 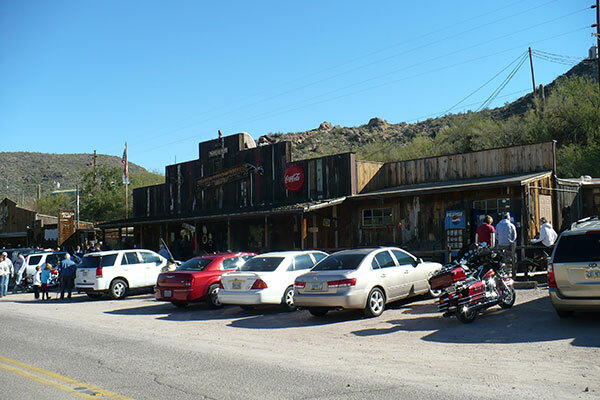 Tortilla Flat is the last stagecoach stop on the Apache Trail. Once a booming mining town, Tortilla Flat turned into a ghost town when the ore dried up. The town, which only has six residents, is now a look back in time with a saloon that uses horse saddles as bar stools. The town's museum has 100 year-old photos that vividly display what life was like at the turn of the 1900s. Be sure to sample the tasty prickly pear ice cream. 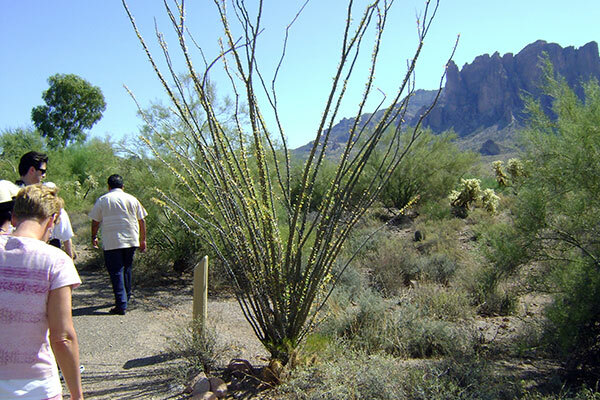 Named after the famous gold mine, the Lost Dutchman State Park beautifully displays the splendor of the Sonora Desert. Your Across Arizona Tours guide will educate you to the indigenous plants that make the Sonora Desert the lushest desert in the world. You will stand next to the towering saguaro cactus and see the state tree, the Palo Verde. During the spring, you will be amazed at all of the flowers that spring forth from the desert floor. 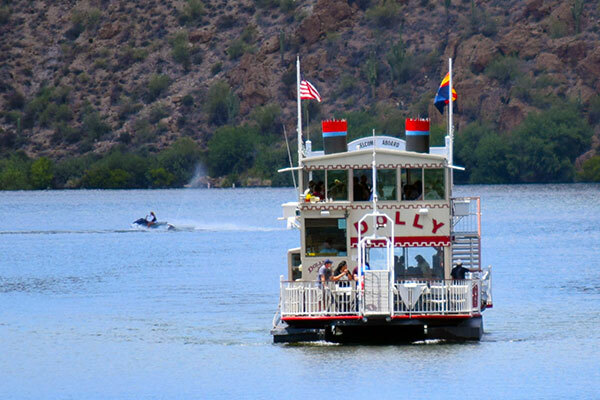 Call today to book an Apache Trail and Dolly Steamboat one-day trip. 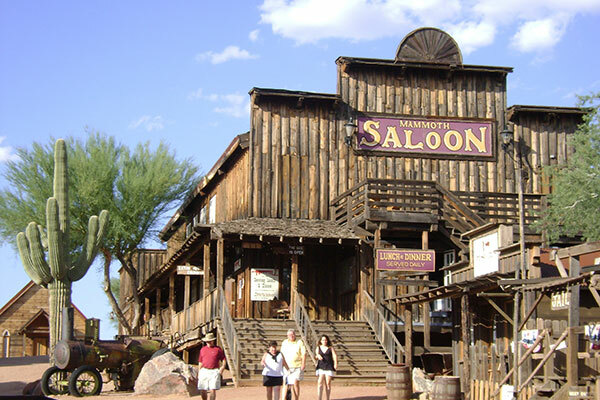 You can reach Across Arizona Tours at (602) 233-1813 or toll free at (888) 533-1813. You can also email us for information about the tour.